Check to see if you're in our truck route area, Click "Verify Your Postal Code" Button now. 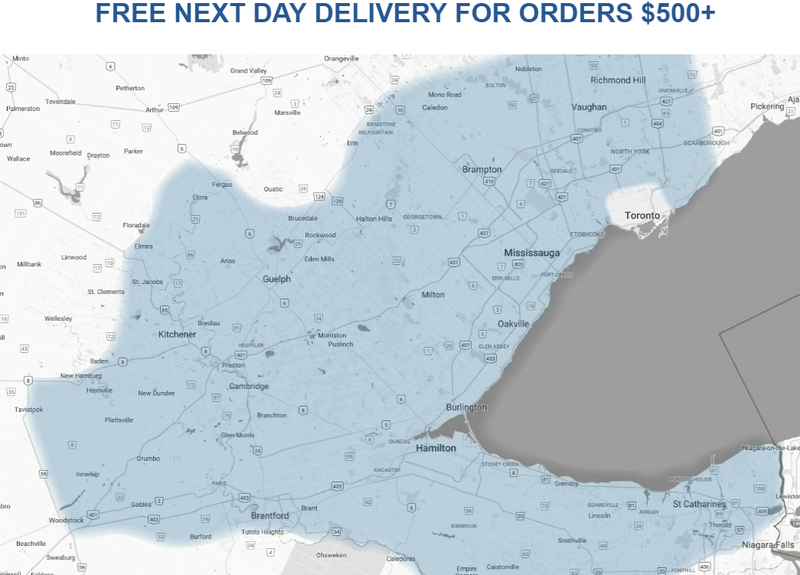 Orders over $500 (before tax) are FREE delivery. Orders under $500 (before tax) - $25.00 service charge. Any order placed by phone, fax, email or on-line by 4:30 will be processed same day and delivered next business day to you. Any order placed by phone, fax, email or on-line by 12:00 noon will be processed and shipped same day. Should a rush delivery (same day) be required, we will be more than happy to do our best to accommodate your request. Please note, same day deliveries are shipped out F.O.B Whitebird's dock. Pickup hours are between 8am and 4pm Monday-Friday. Orders must be placed prior to pickup as Whitebird does not offer a retail store location for browsing product. This ensures a shorter waiting period upon arrival. Please use our main entrance to sign paperwork prior to pickup. Orders not picked up within 5 business days will be canceled.